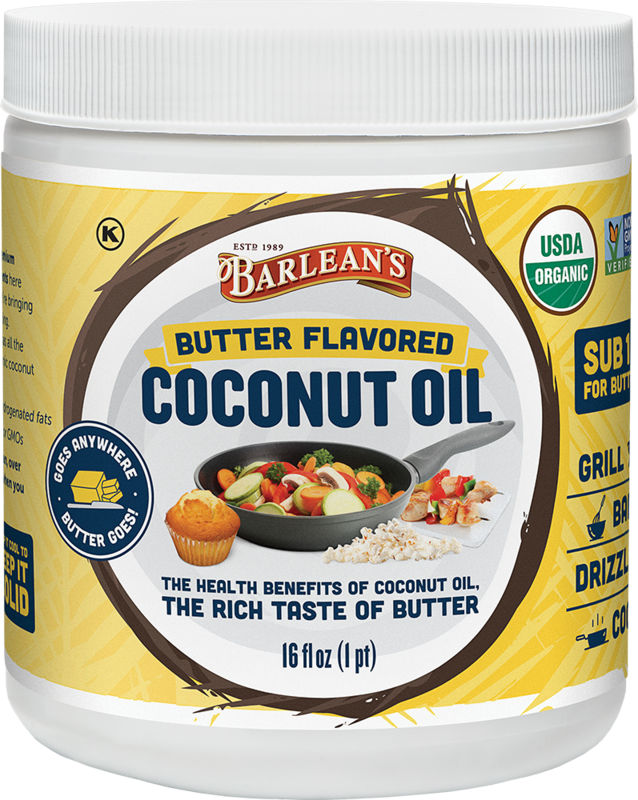 The healthy benefits of coconut oil, the rich taste of butter – the possibilities are endless. It's the delicious, dairy-free butter substitute to grill, bake, drizzle or cook with. Our Butter Flavored Coconut Oil is the perfect combination of healthy fat teamed with the rich and delicious flavor of real homestyle butter. It’s a delicious, dairy-free substitute that will satisfy your craving for butter while supplying you with the health benefits of MCTs. Made exclusively from sustainably harvested organic coconuts, its all-natural, non-allergen butter flavoring comes only from botanical extracts. Just buttery goodness here, folks.